When you need to send data to the browser, sometimes it's easier to use existing HTML instead of coding a web page using JSON. Here is a technique on how to use your existing MVC code to perform the heavy lifting. As a developer, you see a lot of interesting code in your career. When developers start mixing one language with another language, it can get messy really quick and simply unmanageable. Let's say you have a screen that initially displays a list of products. They are displayed in a grid which also has a button at the bottom that performs an AJAX call to retrieve the next set of products through JSON. You want to make sure you call a service to retrieve HTML instead of performing the code above. The key here is to make your HTML as modular as possible. In the Controller, I created a method that returns a PartialViewResult. When you implement this type of solution, you don't have a "Reese's Cup" issue. You know..."Your peanut butter is in my chocolate! 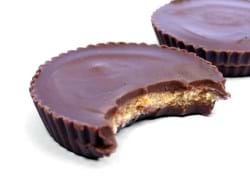 Your chocolate is in my peanut butter!" This keeps your code clean and separated. The whole idea is to make sure that you aren't creating more work for yourself through hard-coding HTML. Would this be considered a Reese's Cup anti-pattern? Was this a good refactoring? Post your comments below.